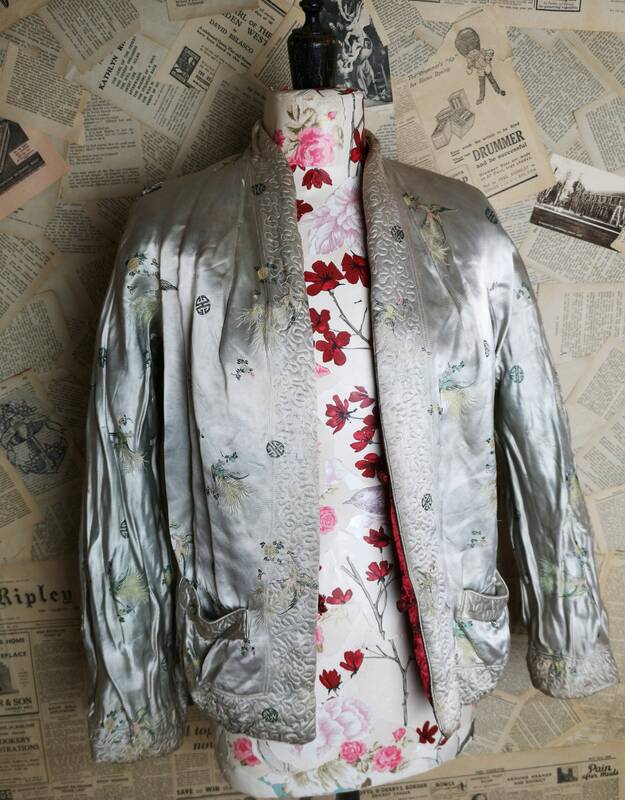 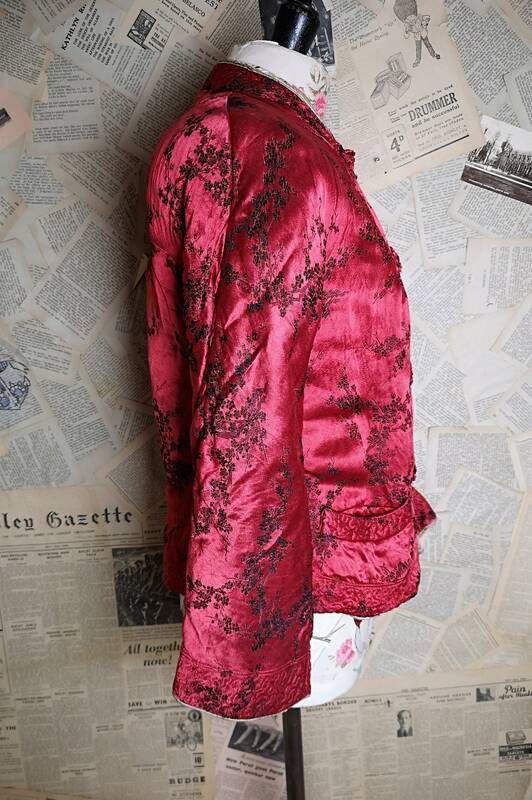 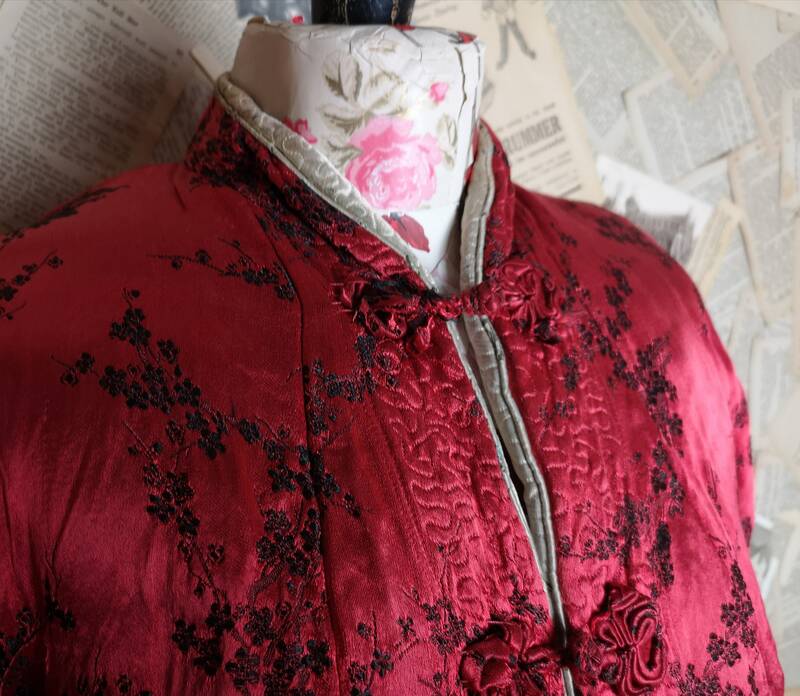 A very pretty vintage Chinese silk jacket. 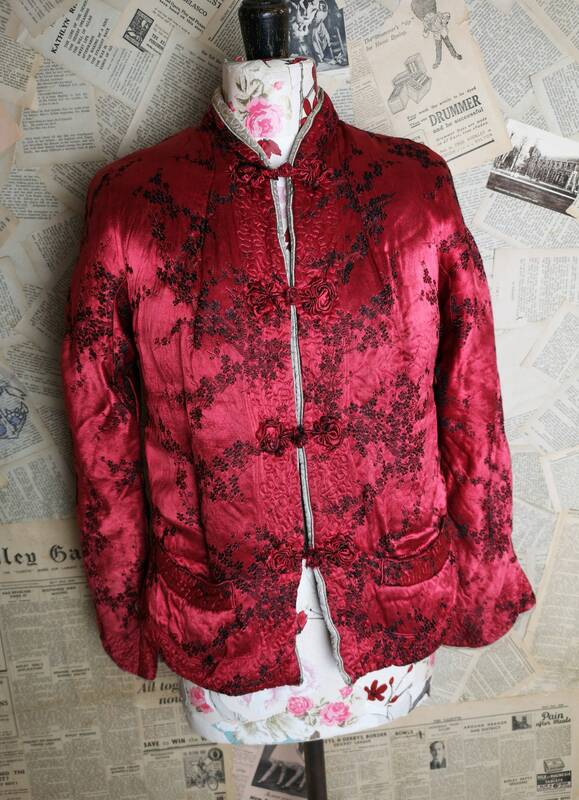 It is padded with a toggle front fastening, a mandarin style collar and fluted sleeves with heavily embroidered cuffs. 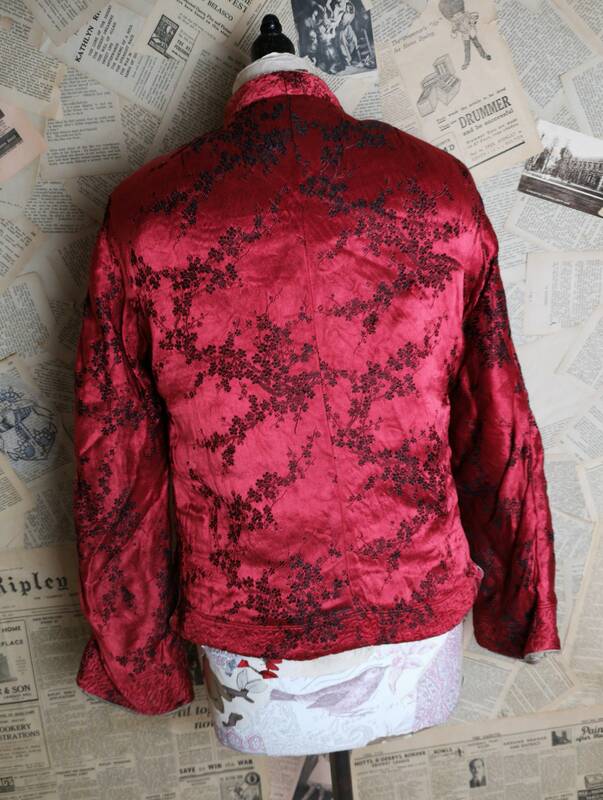 This is a reversible jacket but only the red side has the fasteners. 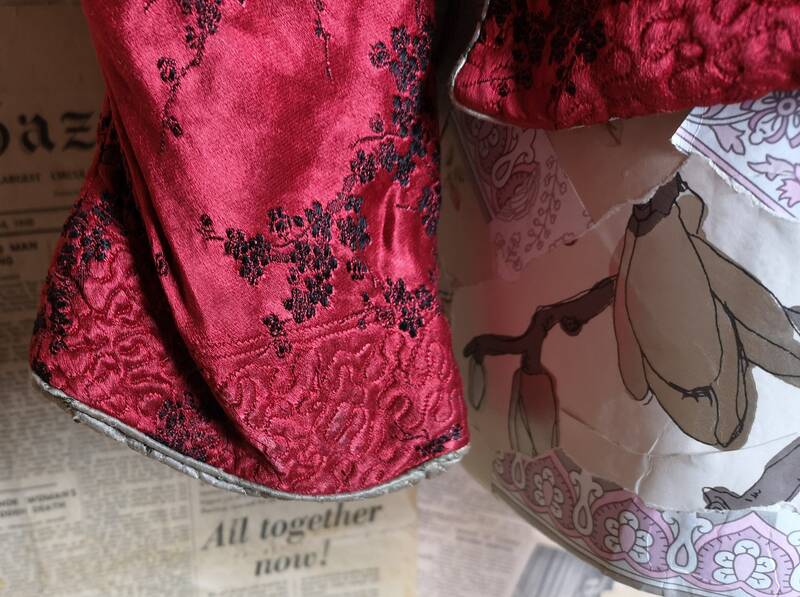 The red side is a lovely deep red silk ground with all over embroidery of blossom and branches in black silk thread. 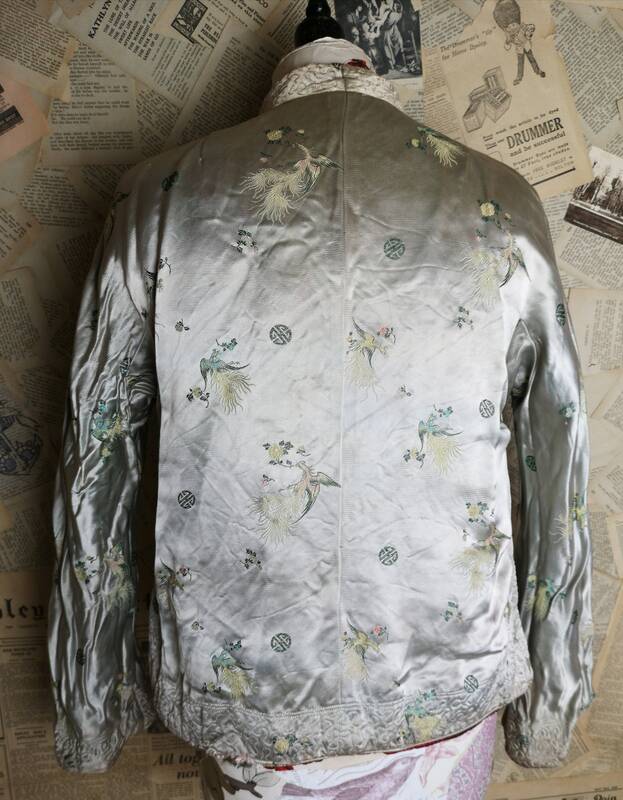 The reversed side is a silvery / golden metallic silk with embroidered symbols and the most detailed birds of paradise. 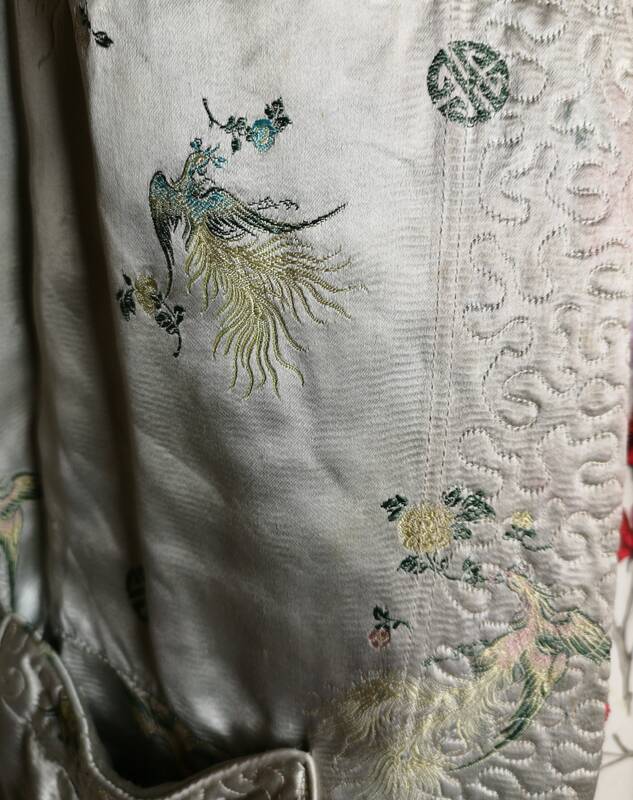 Both sides have small ruched pockets. 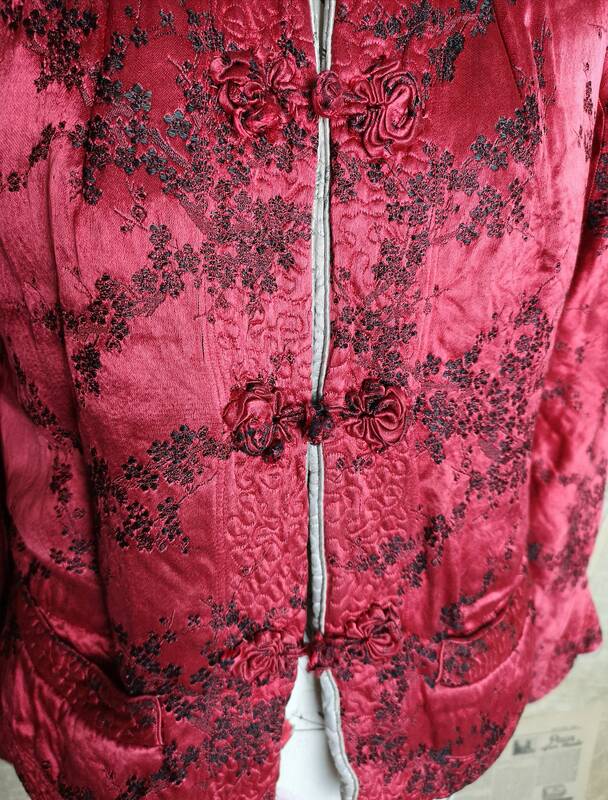 The jacket shows some wear particularly around the cuffs, it has been mostly worn red side facing out, the toggles are a bit frayed, there is a mark on the back of the lighter coloured side though this may be possible to clean.